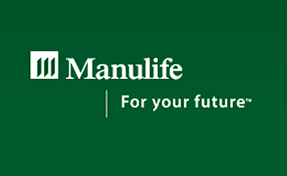 Manulife Philippines is a leading life insurance provider in the Philippines, established in 1907. We are a subsidiary of Manulife Financial Corporation, one of the world’s biggest financial services companies, based in Canada. Our story started in 1901 when the first Manulife life insurance policy was sold in the Philippines. From then on, Manulife has quickly become one of the top insurance companies in the Philippines. We have steadily worked towards our vision to be the most professional financial services organization in the world by providing forward-thinking solutions for our clients’ most significant financial decisions. As your trusted life insurance company, we offer tailor-fit solutions that meet the needs of every stage of your life. Whether you are preparing for major purchases, retirement, health care, or your children's education, our flexible plans let you make the most out of your money. We are dedicated to make it easier for you to save, protect and grow your finances to make your and your family’s lives better. We offer diverse policies and products tailored to the needs and budget of each client for every stage of life.